So most of the time I'm serious with my costuming, but from time to time it's really fun to just throw something together. Now for Halloween I wanted to go to a party at a night club, and I definitely didn't want to go in any of my expensive or fragile costumes. 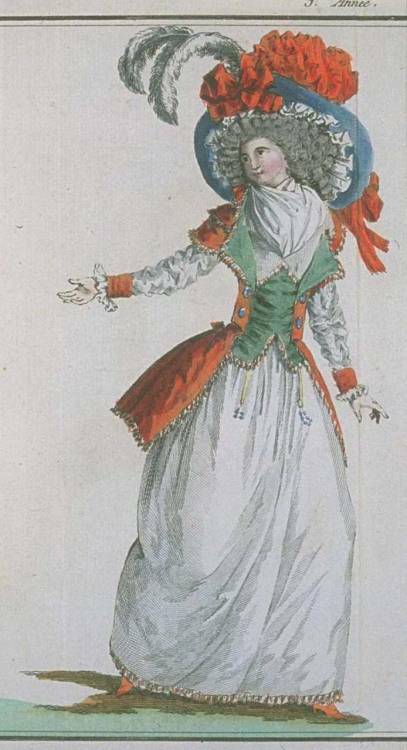 With inspiration from a fashion plate from 1787 I decided to go as one of the women of the French revolution. 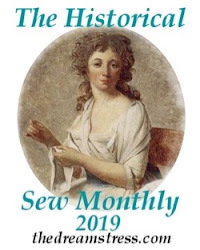 There were a lot of feminist activists in the French Revolution, women who claimed that human rights shouldn't just be reserved for 50% of the population, and who also felt that maybe it was wrong to use "fraternité" (brotherhood) as a motto. Unfortunately many of these women were very badly treated. During the revolution quite a few of them got executed at the guilloutine, or arrested. Some were more or less forced into a life of obscurity, while for example Theroigne de Mericourt was institutionalized at a mental asylum. Still I wanted to give a bit of nod to these interesting, but usually forgotten, women. 18th century chemise and petticoat. I took a piece of red cotton and ripped it into two pieces, one narrow piece that I used as a sash and the other part was tied to a stick and used as a revolutionary flag. 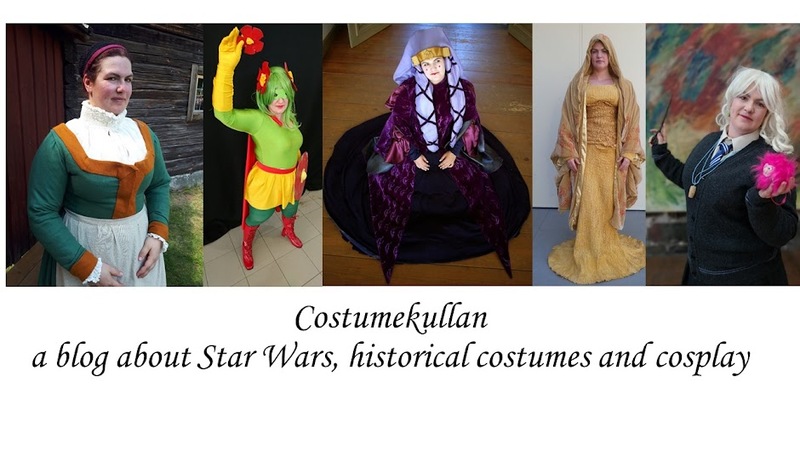 Total cost of the costume was 85 SEK (ca $10) and that was the cost of the red fabric. The rest were things I already had at home.